October 11th. 7pm. Discover the new menu specials inspired in the Region of Madrid, by guest chef Javi Estévez. Reserve table. Discover two new specialties at Boquería by this acclaimed chef Javi Estévez. 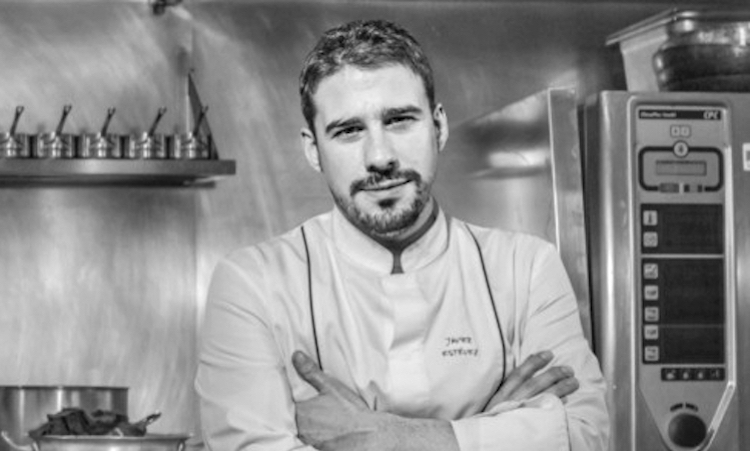 Javi Estévez is a young chef from Madrid who has gathered tremendus momentum in the past couple of years since opening his first restaurant, La Tasquería, in Spain´s busy capital. His modern interpretations of the traditional nose-to-tail approach of Madrid´s gastronomy have given him enormous success with the public and an ever growing presence in the culinary media. Javi comes to Boquería to share two modern interpretations of traditional dishes: Cochinillo crujiente (Crispy Suckling Pig) and Salpicón. Come get a taste of Madrid at Boqueria on Oct. 11th. An evening made possible by Turismo de Madrid and Boqueria.